Established in 2012, BGO is relatively new to the online gaming scene, but the casino operator compensates for the lack of experience in the industry by providing its player-base with a hassle-free, fair and secure gaming environment. BGO’s website is very well organized and easy to navigate so it matters not whether you are a gaming rookie or a seasoned casino player – either way, you are guaranteed to enjoy yourself. 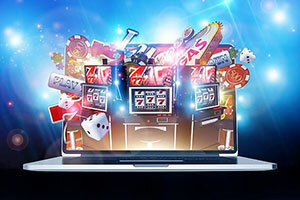 The casino operator has teamed up with leading software developers the likes of Microgaming, NetEnt and IGT and boasts a diverse portfolio consisting of hundreds of enticing video slots, video poker variations and casino staples like baccarat, blackjack and roulette. Players can taste the atmosphere of luxurious landbased gambling venues without leaving the comfort of their homes by joining the experienced dealers in BGO’s Live Casino. More importantly, the games can be played on the go as BGO is mobile responsive and works equally well on portable devices running on Android and iOS. Both new and existing members of the casino can boost their bankrolls and increase their chances of winning by claiming one of the many bountiful bonuses, available at BGO. 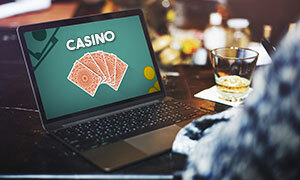 The gambling provider works with a variety of secure and convenient methods of payment, so players will hardly experience any difficulties when funding their accounts. Should you need any assistance, you can always count on BGO’s support representatives who are always on standby to help players via the Live Chat feature or email. Having obtained licenses from the Alderney and the UK Gambling Commissions, BGO is a dependable and fully legitimate gambling destination. BGO is owned and operated by BGO Entertainment Limited and was launched in 2012. The minimum deposit is £10. 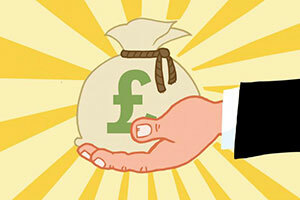 Players can withdraw no less than £20 or the currency equivalent. 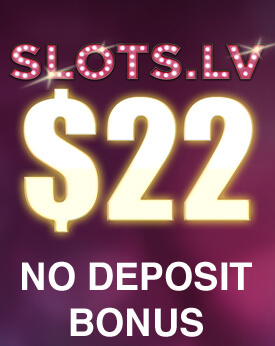 Existing members of the casino can take advantage of various regular bonuses and perks. The Hotel BGO Loyalty Programme gives players the opportunity to collect comp points, called “Stars” in this case, by wagering for real money. Every $10 wager on the slots or scratch cards can earn players 1 Star. Players can collect 0.1 Star with a $10 wager on roulette and blackjack variations. 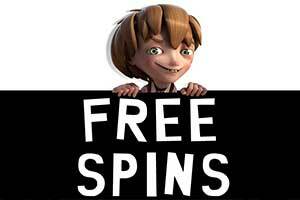 The Stars can be exchanged for free casino chips and free spins on selected games. Several leading software developers have contributed to BGO’s gaming portfolio, namely Microgaming, NetEnt, IGT, and NextGen Gaming. The gaming catalog is availble in Flash mode only. Some of the progressive jackpot games at BGO include Gladiator, Beach Life, Everybody’s Jackpot, Jackpot Giant, Hulk, and Frankie Dettori’s Magic 7 Jackpot, among others. BGO is home to a nice collection of video slots and video poker variants and offers a wide range of table games like Blackjack Surrender and Blackjack Switch, Pontoon, Baccarat, French, American, European and 3D Roulette, and Caribbean Poker, to mention a few. The Live Casino features several classic table games, hosted by experienced dealers in real time. 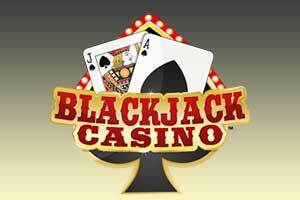 You can play Blackjack, Roulette, Casino Hold’em, Baccarat and Hi-Lo. Players are redirected to the mobile version of BGO as soon as they enter the casino’s address in their mobile devices’ browsers. BGO is compatible with smartphones and tablets running on iOS and Android. The native mobile application for iOS is available for a free download at the App Store. BGO is one of those online casinos that focus predominantly on the needs of reel spinners as becomes apparent when you take a quick look at its gaming portfolio. There are hundreds of slots there but table games and video poker are slightly under-represented. The casino tries to compensate for this with a superb live-dealer category where table games are hosted in many different varieties. Other than that, BGO is a flash-based casino and does not require you to download any software to play the games. You are given access to the entire suite of BGO games after you register and log into your account. The lobby is a bit of a hassle to be honest since the different kinds of games are not structured according to their type. 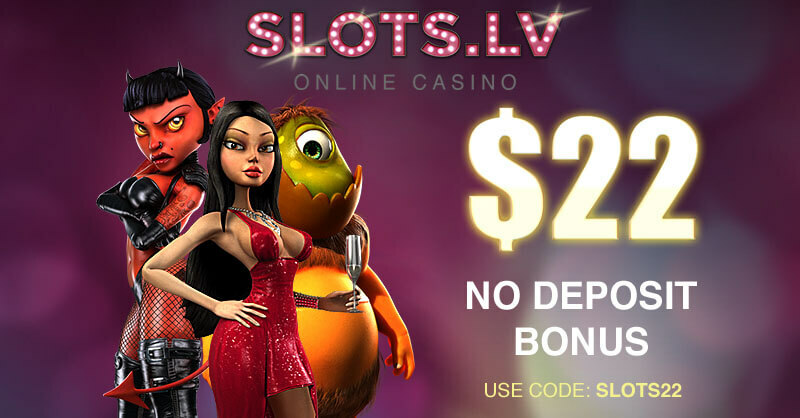 There is a dedicated section for online slots only while the other games are all bunched together under the Casino tab, which can be slightly annoying when you are looking for video poker or table games like roulette, baccarat, and blackjack. Using the search facility would be the fastest way to find a game when seeking something specific. Separate categories are dedicated only to the new additions to the portfolio, the top-rated games, and the jackpot games, where you can find an array of progressives but only some of those have jackpot metres, displaying the current amounts to be won. However, if we turn a blind eye to the absence of proper categorisation, BGO has much to offer where quality and playability are concerned. This is not surprising since the casino is powered by Playtech alongside several other respected suppliers of quality iGaming solutions like IGT, NetEnt, Quickspin, and Eyecon. Players at BGO are facing a great abundance of online slots, with more than 600 different games to choose from. The collection poses as a combination of titles designed by acclaimed suppliers like IGT, Quickspin, and NetEnt, but the bulk of the slots section consists of Playtech creations. There are options for all players as they are presented with a vast choice of settings, themes, and styles. On the bad side of things, there are no filters allowing you to browse through particular sub-categories of slots but if you have already decided which game you want to play, you can type its title in the search facility and find it in a matter of seconds. Some of the more advanced slots are masterpieces on their own, boasting vibrant graphics and realistic animations that hold close to the visuals of animated movies. The most prominent examples are slots like NetEnt’s Gonzo’s Quest, Quickspin’s Northern Sky, and Playtech’s Age of the Gods. The casino also features a nice range of movie-based slots that recreate popular blockbusters on their reels. You can put your luck to the test by playing branded games like the ones from Playtech’s DC Comics series or opt for games like Rambo, Dracula, Gladiator, Top Gun, and The Invisible Man. Some reel enthusiasts crave an authentic experience that only the old-school fruit machines can deliver. BGO caters to the preferences of such players by providing them with a broad enough choice of timeless classics like Fruit Mania, Fruit Spin, and Crazy 7. These lack the functionalities and polished graphics of modern slots but this only adds to their authenticity. The roulette variations are to be found under the Casino tab in the lobby where they are mingled with other table games and some of the popular slots on offer. Despite this, BGO has got you covered with some of the most prominent roulette varieties Playtech’s talented developers have crafted. 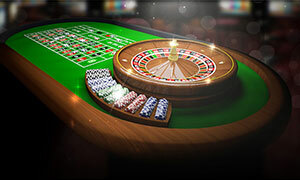 There is the option to place a few bets on the classic variations of the game, like European, American, and French Roulette. Players who are seeking an unconventional betting experience are recommended to try 1000 Diamond Bet Roulette which plays on an enlarged wheel containing a total of 105 pockets. Another variation that stands out from the crowd is Playtech’s 3D Roulette which offers you enhanced graphics and animations along with many useful features, such as fast chips removal, history, and fast play. 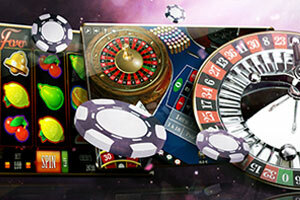 Anyone can give 3D Roulette a try since the game is playable from £0.25 only. If this is still an amount you feel uncomfortable risking on a single spin, we recommend you give Penny Roulette a shot. This is a single-zero version of roulette where you can make bets as small as £0.01. The variation may have low betting limits but Playtech developers have still equipped it with cool customisation features that make for a more personalised gaming experience. The game of 21 is pretty much a timeless classic so it makes sense it is an absolute must for any online casino deserving of the name. BGO, too, recognises blackjack’s iconic status and offers you several of the best variants you can find on the web. To start with, you have the opportunity to play the standard single-hand version of the game for as little as £0.10. Some of the available variations offer you a twist due to their extraordinary rules. Such is the case with Blackjack Switch where players are dealt two starting hands and have the option to switch the top cards to improve their strength. Bear in mind, though, that in Switch, your virtual dealer will tie with you on totals of 22 and blackjacks offer even-money payouts, which slightly takes away from the game’s appeal. Another must-try variation for BGO players is Buster Blackjack, which is unique in that it gives you the opportunity to scoop up extra payouts whenever you are holding a blackjack and the virtual dealer goes bust with a specific number of cards. The highest payout in the game is awarded when the dealer exceeds 21 with a hand consisting of eight or more cards. Do not be too quick to come to the conclusion BGO lacks in the video poker department. The video poker variations are simply well hidden among tonnes of slots in the Slots category. We suggest you enter the names of concrete games in the search box since this will spare you the tedious scrolling across hundreds of slots. Interestingly, all the available variations of Jacks or Better utilize the multi-line format. If you are looking to play one hand at a time, we recommend you to stick to the 50-line version of the game that supports between 1 and 50 hands. There are also 10-line and 4-line variants, but it is the former that comes with a progressive jackpot. If you are a fan of poker games where wild cards are in play, BGO brings to you two variants of Deuces Wild. The cards with a pip value of 2 can substitute for other cards, helping you to complete your winning hands. There is a single-hand version along with another Deuces Wild variation that allows you to play four hands at a time. Both of these are short-pay. BGO is also home to several other Playtech video poker games like Aces and Faces, Joker Poker, and 2 Ways Royal. All of those are equipped with the Double Up functionality, enabling you to potentially extract more profits from your winning hands. One thing BGO is not short of are games with progressive jackpots. Thankfully, these are all posted under the Jackpot tab where you can choose from over 90 progressive titles. 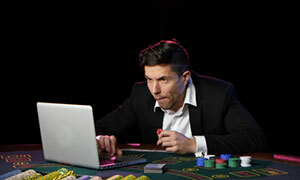 Some of them are connected to wide-area jackpot networks so the prizes would accumulate across all online casinos using the software of the developer that created them. Such is the case with the Playtech slots from The Age of the Gods collection which spans several mythology-based titles that are all part of the same progressive network, meaning that you can win the same jackpot amount no matter which game you play. The progressive games developed by software provider IGT are just as popular among BGO’s registered members. These are also linked together in a network that spans several slots – you can recognise them by the Mega Jackpots logo on their thumbnails. Other must-try jackpot games available on the website include Jackpot Giant, Funky Fruits, Gladiator, Mega Fortune, and Beach Life. 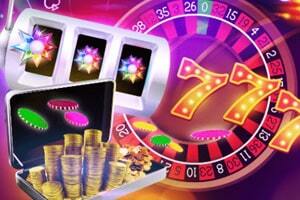 The majority of the games from this category can offer you a local jackpot that is smaller in size. Some of these slots would require you to bet the maximum stake allowed per spin, just to become eligible for winning the big prize. Others would award a specific percentage of the progressive pot, depending on the amount you have staked on the winning jackpot line. BGO may be all about slots but this is not to say it does not provide its players with a fair share of timeless classics, streamed in real time from the professional live-dealer studios of Playtech. You can enjoy a gaming experience of utmost authenticity from the very comfort of your home. For the purpose, you need to visit the Live section of BGO and click on one of the listed games in order to load the entire live-dealer lobby. You will find the live lobby is very easy to navigate since all the games are categorised on the basis of type, something which cannot be said about the virtual lobby of the casino. The competent and friendly dealers servicing the tables would make you feel right at home. The games would run seamlessly in superior quality, bringing you closer to what you experience when playing in an actual casino. You have a wide choice of tables with different limits reaching up to £1,000 per coup. Some of the games that enjoy the greatest popularity among BGO players include live Casino Hold’em, 3 Card Brag, Unlimited Blackjack, No Commission Baccarat, Sic Bo, and Slingshot Roulette. Multi-tabling is a possibility as well. How to find the Live Chat facility? BGO provides excellent customer service via email and Live Chat. To use the Live Chat facility, however, players are required to register with an account and log in. If you still fail to see the Live Chat icon after logging in, this serves to indicate all support agents are busy at the moment. How much time it takes to process a withdrawal? Withdrawals are typically processed within a 24-hour timeframe. Players, who have climbed to a higher level in the Loyalty Programme will enjoy even quicker withdrawal processing times. BGO has a unique feature which allows players to withdraw funds from their real balance at any time, even if they have accepted a bonus and have not completed its wagering requirements. The proportional amount of the deposit that was used to obtain the bonus is “ring-fenced’ and everything else remains unaffected. However, players must remember if they opt for withdrawing the “ring-fenced” funds, their bonus and any winnings they have accumulated with it will be declared void and will be forfeited. In order to complete their accounts’ verification successfully, players need to send scanned copies of their ID cards, passports or driver’s licenses as well as scanned copies of the front and the back of the credit/debit card they intend to use to processes payments. Providing pictures taken with a digital camera is also an option. Keep in mind the images or scanned copies must be legible and should be sent as separate attachments via email. This is the online casino I visit the most for one major reason – the great choice of games. The casino hosts hundreds of slots, as well as live and virtual table games by different software providers like NetEnt, IGT, Playtech, NextGen, WMS, and others. But there are other great aspects of playing at BGO – there are attractive bonuses and loyalty points you receive all the time, the payouts are fast and reliable, and the customer support is friendly and ready to help. Besides, the website is modern and easy to use and can be opened on every mobile device. Also, the casino has a free mobile app for iOS, which is great for all iPhone users. Overall, a top-notch casino. Each time I see a new online casino, I spend a few hours there, playing the demo versions of the games (if there are any), browsing through all the sections of the site, reading the T&Cs. Although BGO seems a little too pretentious and pushy at first glance, it is actually very well-balanced, in my opinion. There are various games from multiple providers, so there is practically something for everyone; the payments are made simple and the website is laid out beautifully and with users in mind. Also, there is a nice loyalty program and a live chat available to registered players, while the Help page features a FAQ section, as well as a convenient email form. The only drawback I’ve noticed is the fixed fee of £2,50 charged for each withdrawal. My experience at BGO has been very pleasant and comfortable. I registered and deposited within 15 minutes, played slots for a couple of hours, and ended up with a little over £100 in my balance. My first deposit was £100, so I’m completely satisfied. I didn’t sign up for the bonus, however, because it had some rules and conditions I had to stick to. Overall, my time in the casino has been very entertaining and interesting. I played all my favourite games and tried a handful of new slots without worrying about any safety issues or technical problems. The casino is perfectly safe, user data is well protected, and everything functions normally. This casino has a very good design, although the “Boss” character seemed really ridiculous to me at first. Overall, the games are really impressive and provided by many different software developers, every page loads instantly and the site has a positive, fun look. This is what I like the most about BGO – their approach towards gambling as a responsible, yet entertaining activity. There are many bonuses for new and existing players, the support responds within a reasonable time frame, and the banking system is simple to use and allows the use of popular payment services. 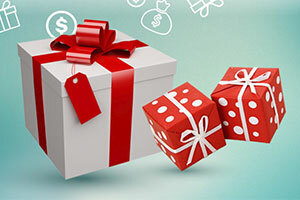 So far, I haven’t seen any serious issues to complain about, maybe with one little exception – the wagering requirement for all bonuses is 50 times, so I would recommend that you first build some strategy, before claiming a bonus. I registered at BGO because of the good selection of games and the welcome package which gives new players 100% match bonus on their first deposit and another 50% match on their second deposit. So, I first invested £100, which meant that I had £200, but I was surprised to know that I had only 3 days to meet the 50 times wagering requirement, which was totally impossible. I earned nothing from this bonus, but at least I was able to play a huge amount of games and explore the casino. Everything else seems really good – there are high-quality games from different providers, the deposits are processed easily, and the customer support was actually very helpful, explaining to me the terms and conditions of the welcome bonus. Next time, I will read them carefully myself, I guess.